Abdurrahman Aydemir is a faculty member at Sabancı University. Before joining Sabancı University in 2007, he held a senior economist position at Statistics Canada (2002-2007), and was a research associate at the Social Research and Demonstration Corporation (2001-2002). His recent research focuses on immigration, education, and intergenerational mobility, and he previously worked on volatility modeling in finance. His current research is on the evolution and impacts of immigrant social networks, development, and education. He received his Ph.D. degree in Economics from the University of Western Ontario in 2003 and his Bachelor’s degree in Industrial Engineering from Bilkent University in 1994. 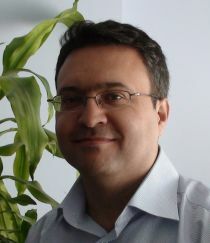 Abdurrahman Aydemir joined CReAM as an external fellow in June 2008.